Last year was a record year for Oahu's housing market, as the median price for single-family houses and condominiums reached new highs. Yet, the growth was a relatively modest 5 percent, which economists predict will pale in comparison with much stronger gains this year and beyond. The median price for single-family houses rose to $650,000 last year from $620,000 the year before and eclipsed the prior record of $643,500 set in 2007, according to Hono­lulu Board of Realtors data released Monday. The new annual high was topped off by a record-tying high in the month of December. The median price reached $685,000 last month, the same as the record for any month, set in June 2007 during the last housing market boom. Oahu's condo market likewise set a new annual record median sale price of $332,000, which was up from $317,500 the year before and eclipsed the prior peak of $325,000, set in 2007 and repeated in 2008. It was the second year in a row with rising median home prices, following four years of a bumpy rebound from a recession that moderately dropped housing costs in Hawaii's biggest residential real estate market. Local economist Paul Brewbaker said consumers should be prepared for more robust price increases over in the next few years — closer to 10 percent annual gains — that could push the single-family house median sale price over $1 million by the end of 2017. "Four years from now we're talking a million," he said. Brewbaker said a big driver of home prices is relatively scant production of new homes on Oahu, and that prices won't be calmed even if builders produce as many homes as they did in the last boom cycle, which started about a decade ago. "It doesn't take that much demand to outstrip the meager supply that we have," he said, noting that annual price appreciation between 2002 and 2005 ranged roughly between 10 percent and 30 percent. During the late-1980s market boom fueled by Japa­nese investment, median prices grew by similar measures. "If history is our guide, even ramping production up like was done in the last cycle will not prevent the 10 to 20 to 30 percent annual increases," Brewbaker said. The Honolulu-based economist, who does analysis work for real estate groups and developers, has been fairly accurate with past home price projections, and his current forecast is in line with an analysis by a team at the University of Hawaii Economic Research Organization. UHERO's most recent forecast, issued in August, anticipates that median home sale prices on Oahu will rise 11 percent this year to about $715,000, followed by a 12 percent gain to about $800,000 next year and an 8 percent rise in 2016, which would put the median home price at about $875,000. Unexpected events that derail the economy could upset the predicted boom, Brewbaker notes. But currently, the expanding economy is driving buyer demand higher amid a relatively short supply of homes on Oahu. The number of single-family houses bought last year rose 5 percent to 3,312 from 3,166 the year before. Factored into that gain was a 3 percent decline in December to 283 sales from 291 in the same month last year. Inventory stood at 1,092 single-family houses on the market last month, which was up from 1,004 in the same month last year. In the condo market, the number of sales rose 12 percent last year to 4,874 from 4,361 a year before. In December there was a 3 percent dip to 390 sales from 401 in the same month the year before. Condo inventory was at 1,576 units last month, which was up from 1,478 a year earlier. 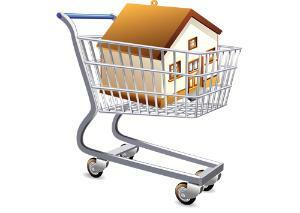 Real estate analysts say that inventory is at a relatively low level considering the pace of sales. If purchase volume continued at last month's levels and no new homes were put on the market, inventory would be exhausted in 2.7 months for single-family houses and 2.9 months for condos. Generally a figure of about six to 10 months is considered a balanced market. "The challenge is supply," Brewbaker said. "If you don't build into it, we're prone to price acceleration."